Hackett Publishing Company, 9780915144860, 148pp. 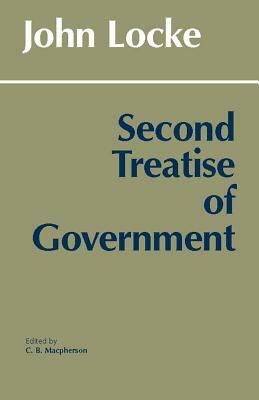 The Second Treatise is one of the most important political treatises ever written and one of the most far-reaching in its influence. In his provocative 15-page introduction to this edition, the late eminent political theorist C. B. Macpherson examines Locke's arguments for limited, conditional government, private property, and right of revolution and suggests reasons for the appeal of these arguments in Locke's time and since.